When it comes to our kids, we just want the best for them. We want them to be happy, healthy, successful and fulfilled. And we do everything in our power to provide the experiences that will help them on their journey. 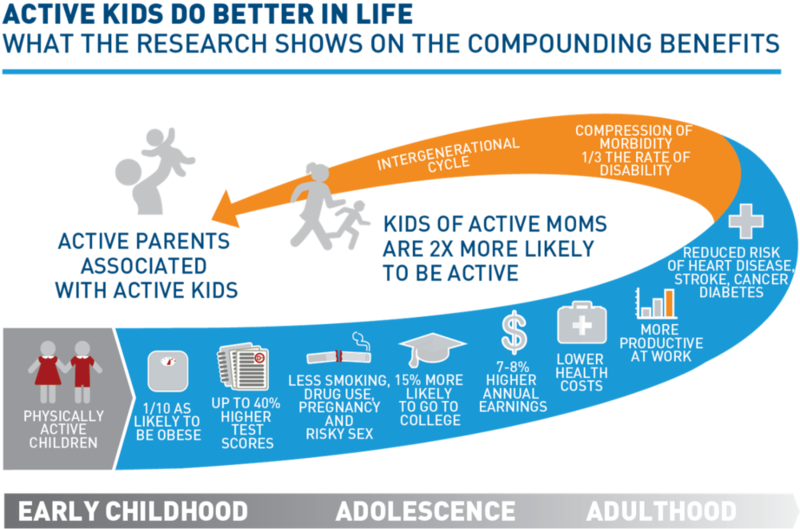 Giving your child the opportunity to play sports can provide a wealth of benefits and lessons that will positively influence their life for years to come, according to research by the Aspen Institute’s Project Play. The physical benefits of playing sports are obvious, but did you know that sports can also have a great impact on developing children’s minds and social skills? Check out some of the ways that TGA can help your child thrive through sports participation in one of our upcoming afterschool enrichment classes or camps. It’s easy to get caught up in all the screens available and the millions of games that are accessible with the tap of a thumb, but physical activity has proven to be the healthiest form of entertainment. Benefits range from helping to control weight, build muscle and strengthen bones, to reducing the risk of various types of cancer. TGA’s after school enrichment programs provide the recommended 60 minutes of active play time each day, while our summer camps far exceed those guidelines. TGA camps keep kids moving throughout the day with dynamic warm ups, skill instruction and practice stations, plus scrimmages, games and other fun activities. Physical activity can positively affect academic behavior when it comes to concentration, attention, as well as improved grades and standardized test scores according to research gathered by Project Play. Additionally, the US Dept. of Education found that high school athletes are more likely than non-athletes to attend college and get degrees. That concept extends beyond the classroom and into the workplace as well. We know how important an active mind is and combine educational components on top of physical activity in all TGA programs. Through our STEAM lessons, TGA students often learn things they can relate to other aspects of life outside of sports. Our coaches want to help build well-rounded students, not just great athletes. As kids continue to grow and develop, they will come across various challenges in life. Sports can positively affect how they react and respond to those events. Team games in TGA classes and camps serve as great stepping stones for students to gain leadership skills they may not have known they had. Team challenges are also great for building up communication skills within a new or challenging setting. Self-esteem, goal-setting and leadership are all aspects of personal development among young people that can benefit from physical activity, according to Project Play. In fact, a correlation has been found between regular exercise and mental health among students in general as they move into the teenage years. The best part of all this news? TGA takes away many of the barriers for kids to participate in sports by bringing our acclaimed enrichment programs right on campus after the school day and providing all the equipment. 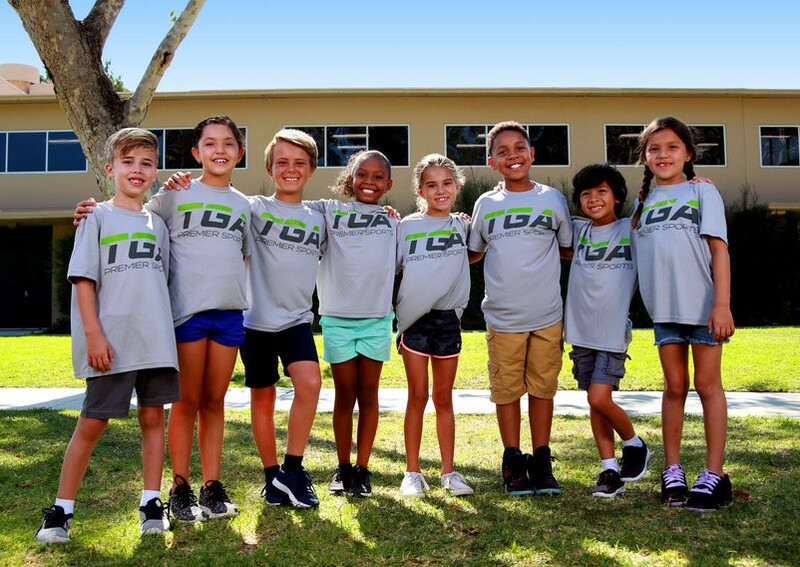 These young athletes can take the next step in their sports journey at one of TGA’s many camp oprtions throughout the summer and during most school breaks. To find a program near you, visit PlayTGA.com/#locator.